There’s nothing wrong with stripes. They’re classic, crisp, and go with almost anything. 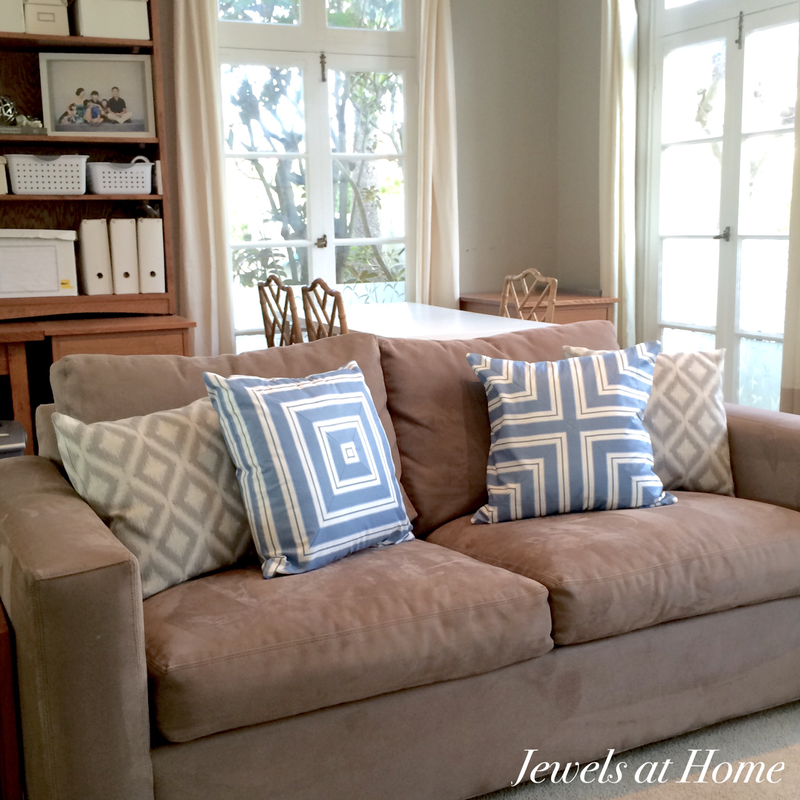 But, if you’re looking to add some visual interest and pattern to your space, you’ll love how easy it is to turn simple striped fabric into fresh geometric patterns. 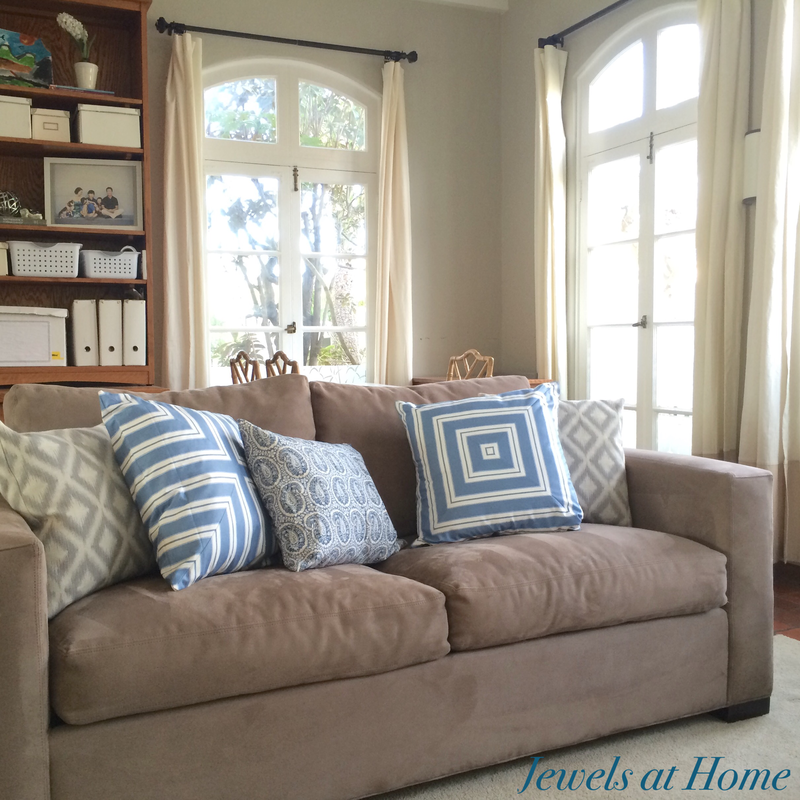 I started with fabric that I had used to decorate our very first townhouse. After we moved, I stowed it away for a few years, waiting for the right project. (My people don’t like to be called hoarders, just so you know.) 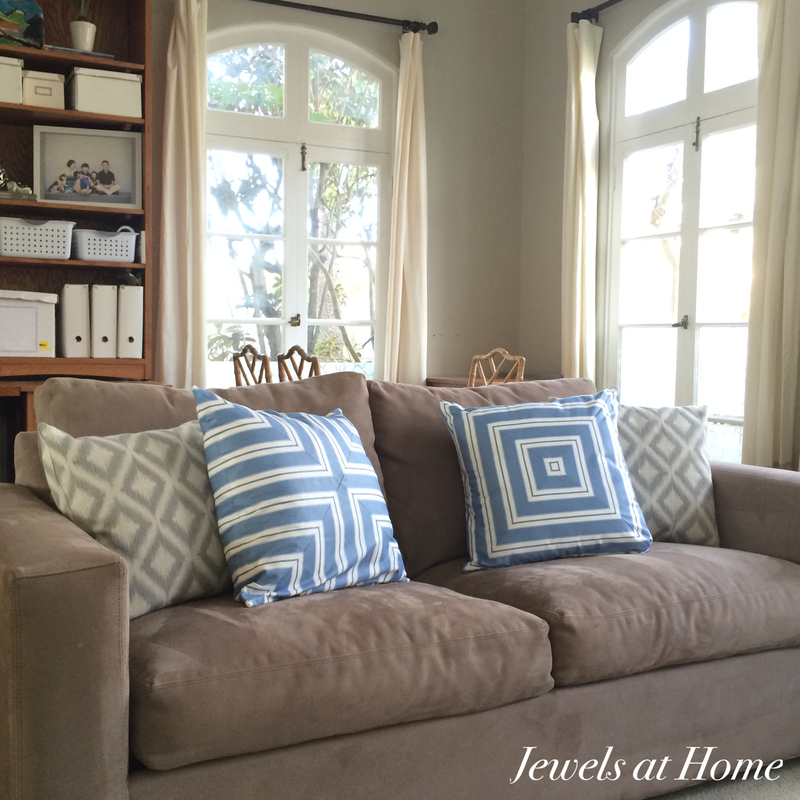 Now, these traditional stripes have new life as modern geometric pillows in our family room! I followed these instructions for sewing the pillows. 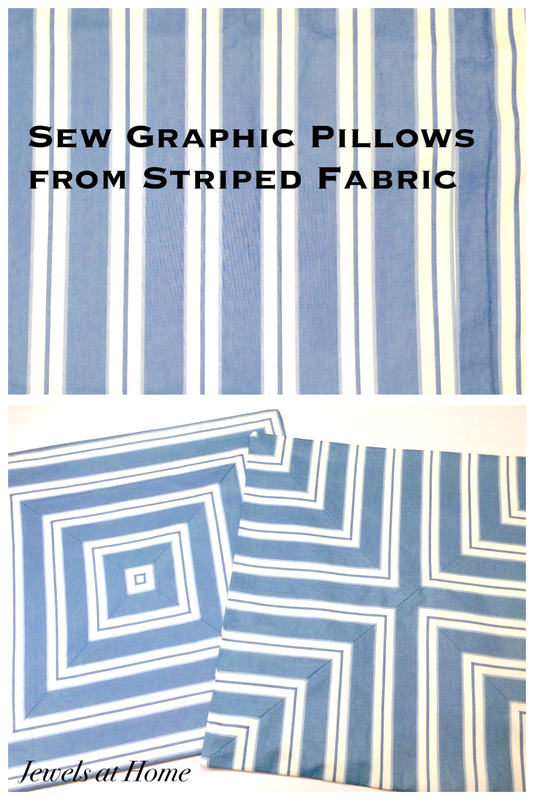 I usually like to make my pillow covers with velcro closures, so I can easily change the covers, but I wasn’t going to mess with all those stripes! 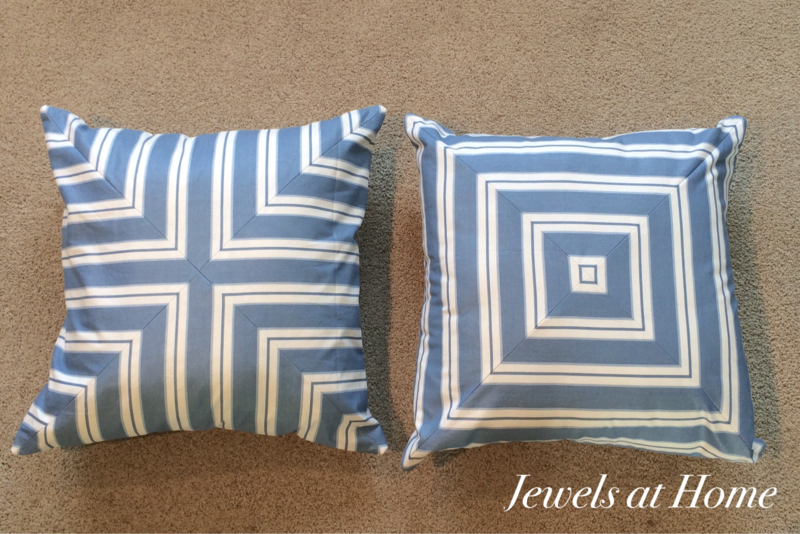 By the way, these pillows are the product of month one of our Creativity Circle. 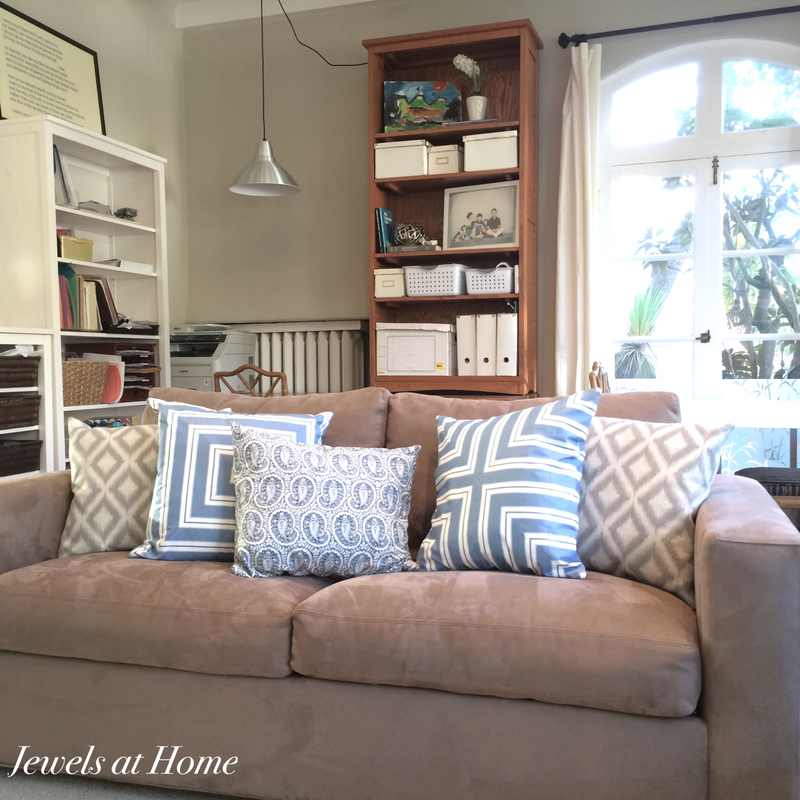 A lot of everyday things (colds, sleepovers, birthdays, baby meltdowns) kept some of our friends from joining this month, but Ari (from Revolving Decor) and I both got a great start on our pillow projects, as well as a healthy dose of girl talk! Hoping next month is even more fun! Wow, these pillows look great. So exact with lining up the stripes.